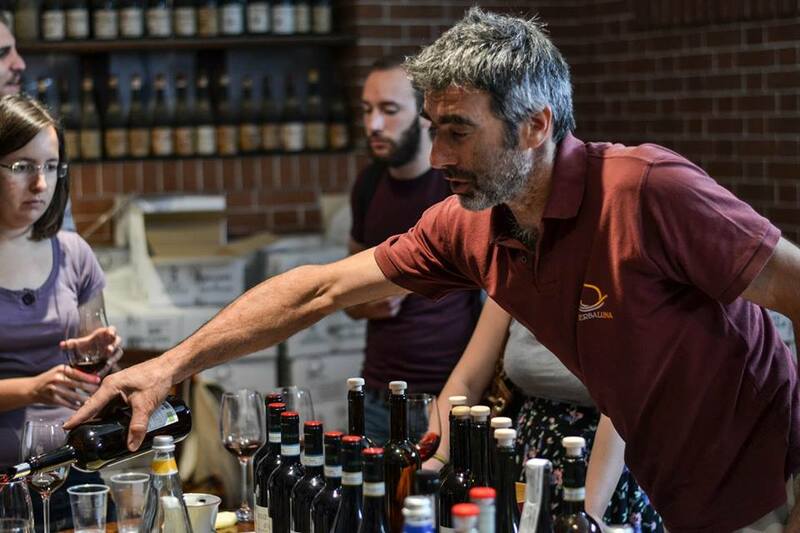 The brothers of Erbaluna, Severino and Andrea Oberto, quietly make terroir-expressive wines in their historic home of La Morra, descendants of a long line of winemakers. In 1985, taking over from their father, they decided to retrieve the contact with the earth that seemed lost in the prior decades. Through them, the modern world has entered the winery, with stainless steel and the latest machinery as well as the sensitivity to nature, converting the vineyards to organically farmed plots. The wine is still made in the large foudre barrels (still etched with the date of 1915!) and the cellar lined with bottles from the Roaring 1920’s. The classic (elegant and terroir-driven) meets the modern (youthful, exuberant, fresh fruits) to make drinkable, pleasure-filled Barbera, Nebbiolo and Dolcetto. The vineyards face south, growing down the steep hills of clay and limestone with layers of ancient sandstone beneath. Why would the brothers change a thing? They admire the land that provides for them and understand the sacrifices made in the past from which they now benefit. They are a family winery, naturally and organically. From vines grown at about 300 meters above sea level, grapes are hand-picked. The wine is both fermented and aged in stainless steel. Yields of 50-55 hL/ha. “La Rosina” is made from hand-harvested grapes that undergo rigorous selection in late September. It is left to ferment naturally for eight to ten days in a tank with continuous pumping for four to six days. The wine is then moved to large oak barrels for six to eight months of ageing. The wine is finally bottled at the end of the summer, and then rested for two months before being sent free of the cellar. Yields of 50-55 hL/ha. Hand-harvested in early October, grapes are fermented in stainless steel for ten to twelve days with pump overs daily for four to six. The wine is then moved to age in 700 liter older oak for nine to twelve months and is then bottled the following autumn and rested for three months before release. Yields 45-50 hL/ha. From low yielding vines the grapes are picked in mid-October. Natural yeasts begin fermentation in older oak barrels (2,500-3,000 Liters) and last about ten to fifteen days. There are pumpovers for four to six days and then the wine is aged for eighteen to twenty-four months in 3,000 Liter barrels. The wine is bottled six months prior to release. Yields of 45 hL/ha. 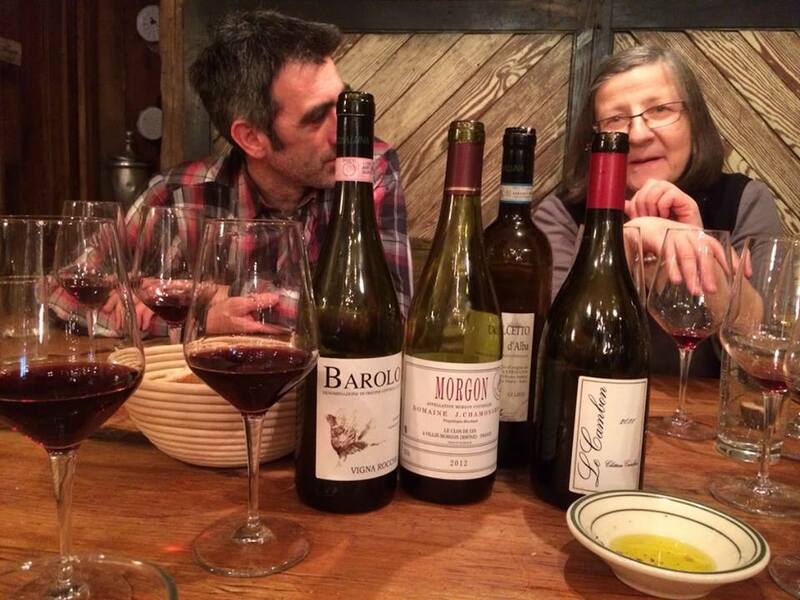 From vines planted in 2000 and 2003 on calcareous clay soils on a cru site in La Morra called Roccha. The grapes are hand-harvested in mid-October, de-stemmed and allowed to macerate for 12 days. Spontaneous fermentation with ambient yeasts takes place in stainless steel and lasts for 15 days under temperature control. The wine is then aged in large barrels for two years and within those two years, the wine is moved four times a year between old barrels (13-15 years) and new barrels (4-5 years).